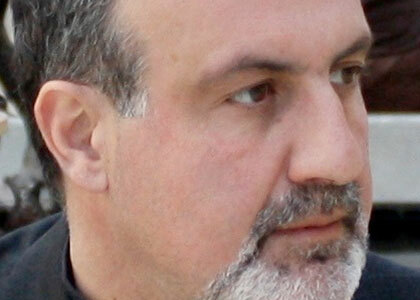 Nassim Nicholas Taleb has devoted his life to immersing himself in problems of luck, randomness, human error, probability, and the philosophy of knowledge. He transformed his interests into three successful careers – as a businessman-trader, a philosophical essayist, and an academic researcher. Although he spends most of his time as a flâneur, meditating in cafés across the planet, he is currently Distinguished Professor at New York University’s Polytechnic Institute. His books, Fooled by Randomness and The Black Swan have been published in 31 languages with more than 3 million copies in print. The Black Swan idea is currently inspiring research papers in philosophy, statistics, psychology, economics, medical research, epidemiology, political science, and engineering. Taleb specializes in uncertainty and errors in human knowledge, teaching us how to deal with, and benefit from, unpredictability. He is one of the few people who can both walk the walk and talk the talk. He both predicted the economic crisis that started in 2008 and made a personal fortune out of it. He specializes in making a living out of human’s misunderstanding of uncertainty. A polymath, he taught in fields so far apart as the psychology of uncertainty and human error, and the pricing of financial derivatives and has been called a “philosopher-trader-statistician-psychologist” by the Nobel winner Daniel Kahneman in his last book. Taleb’s next book Antifragility (Sept 2012) introduces the idea of how to exploit disorder and chaos and benefit from Black Swans.